» Berlin was a great show! 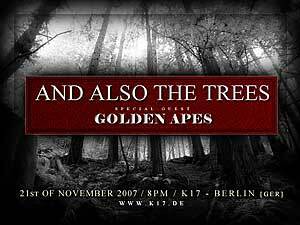 Supported by The Golden Apes (Hello Dirk, it's over, you can calm down now ;-)! ), the band played a very powerful and energetic set, incl. 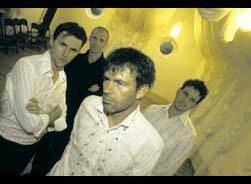 a version of "A Room Lives In Lucy" which they themselves later described as "The Remix". The setlist varied from the Alphen one; they played some other classics and even a song from the new album which was not played in Alphen showed up in the setlist (and was not played in Mainz again). After all, the show was great, great and great. At this stage of time, the band seems to be in the form of their life, and due to good promotion work the K17 was very well visited. Not sold out, but there was a good number of visitors there. Really a rememberable show. » Yes, great show! Good selection of songs, well performed. Nice audience (150-200 I guess) A perfect evening!